I will admit that my path through Art History in this series seems somewhat random, in chronological terms at least. But this isn’t strictly an ‘Art History’ blog – this is an ‘art making sense’ blog. 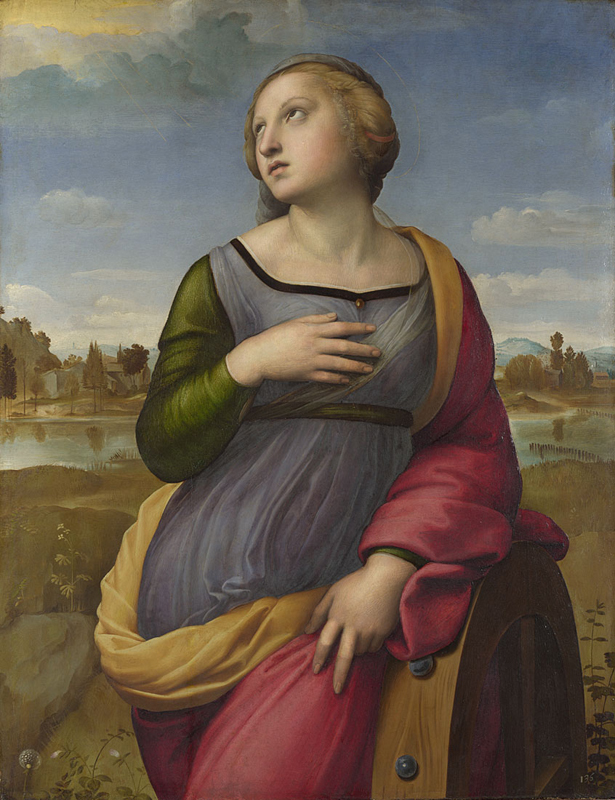 So today’s post is on Raphael, who lived and worked 500 years before Damien Hirst, 400 before Matisse, and 350 before the Pre-Raphaelites, as in the guys my last blog was about. The first Raphael I remember taking notice of (bonus points if you can work out why). Like it? Well, so have lots of other people. They liked the way she was standing so elegantly. They liked the highlights & shadows on her skin. They liked the delicate features of her face, looking suitably heavenly. They liked the way they held her hands (one day I might do a blog on hands in classical painting, it’s a weird one). They liked the way the folds of her dress were so softly rendered, as are the strands of her hair. They liked it so much that for a long time, Raphael and his stlye of Italian Renaissance painting was seen as the gold standard to meet in painting. If you feel like you’ve seen pictures like this before, that’s because you probably have. If you wanted to be a Real Painter you went to the Academy, where they said “paint like Raphael”. So they did. (Actually, I like this painting too, I think it has a nice flow to it). The Pre-Raphaelite Brotherhood (PRB) didn’t like it, though. Specifically, they didn’t like what it stood for. For them it was too idealised, not close enough to reality. Do we ever see people standing around in this pose, looking all saintly? The PRB believed that painting should be drawn from life, and that the influence of Raphael led to art promoting falsehoods. Another beautiful woman yes, but look how she’s standing in that slightly hunched way. Look at those massive lips and big open eyes, this woman was a model for quite a few Rossetti pictures and she always looks about the same, so I’m going with this being based on reality. She’s not even holding her fingers in a posture which is even slightly ridiculous. There does seem to be an angel of Love hanging around in the background – the PRB didn’t shy away from a bit of symbolism – but this is no maiden destined for Heaven like Raphael’s St Catherine, this is a woman of this earth, out doing her own thing. And until about 1850, there weren’t many other painters doing this. The PRB were trying to take things back to ‘pre’-Raphael, trying to make people look like, well, real people again. History is a long continuum of influences, with the past feeding into the future. Raphael was groundbreaking in his time and produced some beautiful works, but after 350 years of anything, it’s time for a new style. That was what the Pre-Raphaelites rebellion was about. If you like the Raphael above, check out the National Gallery website, they have a good selection of his paintings. 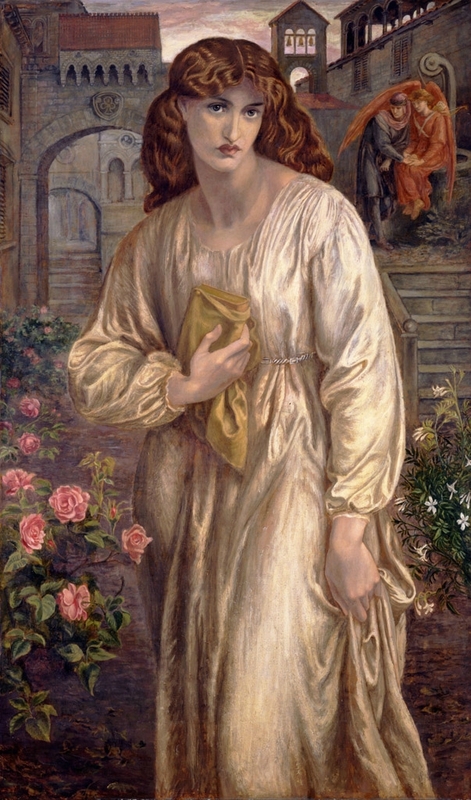 This entry was posted in Home, Let's Talk About It and tagged art, Art History, culture, Pre-Raphaelite, Raphael. Bookmark the permalink. Comprehensive insight. Thanks so much for sharing!